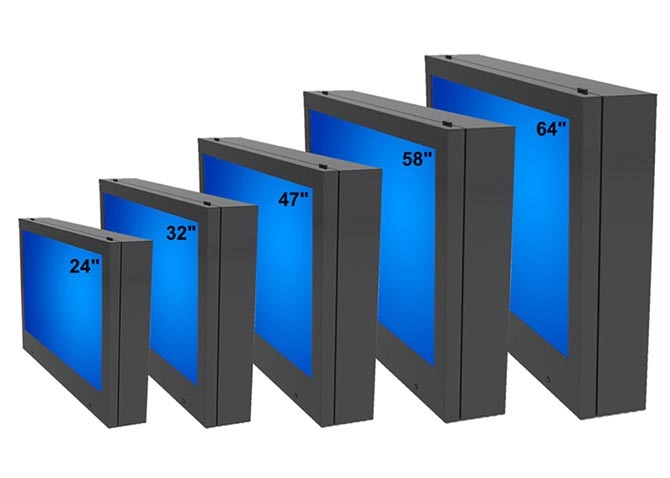 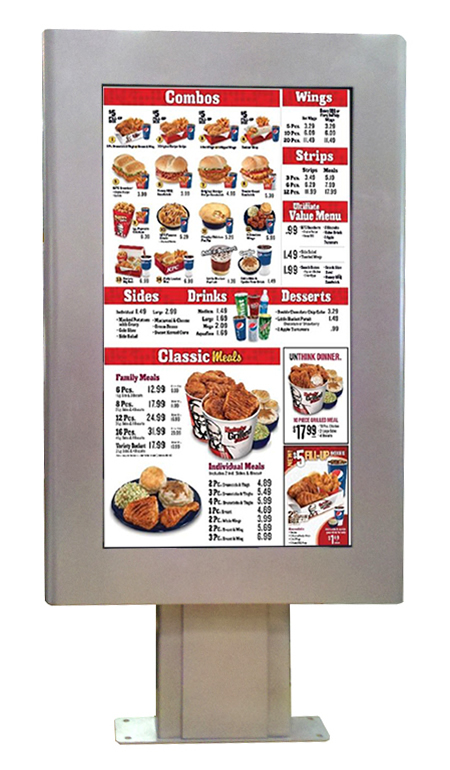 This outdoor digital menu board enclosure is offered in multiple sizes for single, dual, and triple 32" - 55" screen configurations. 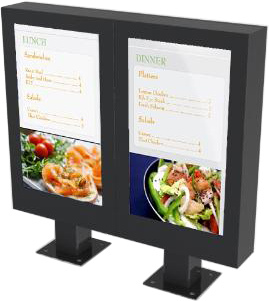 This Digital Menu Board is the perfect method for displaying content in any outdoor setting. 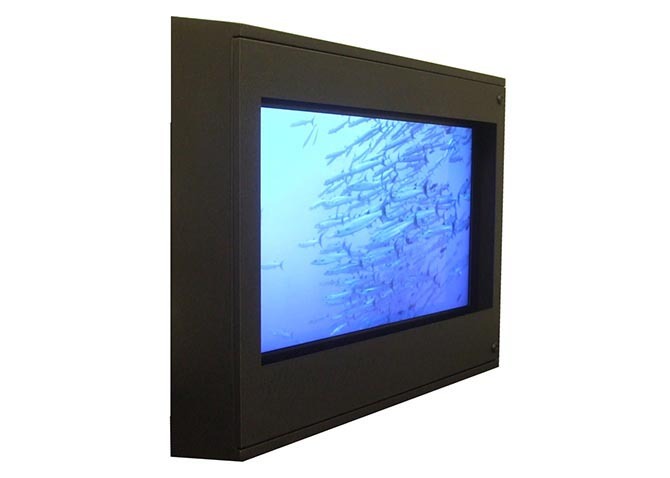 It is designed to stand up to even the harshest of enviroments, while still keeping all internal components at a manageable temperature. 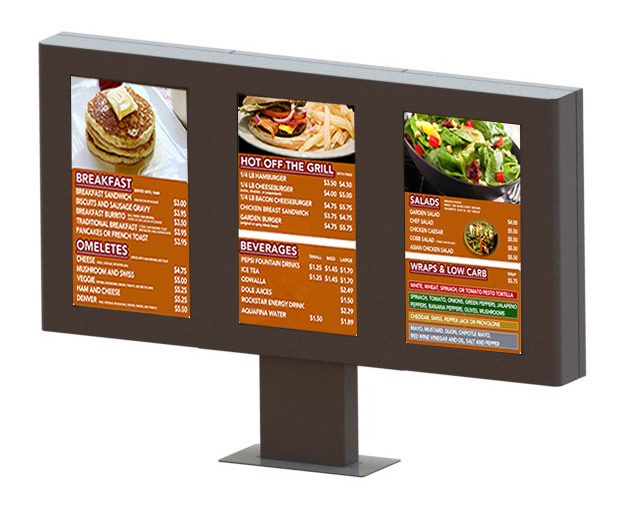 The product is ideal for drive-thrus at fast food or quick serve restaurants (QSR), pharmacies, banks, and more. 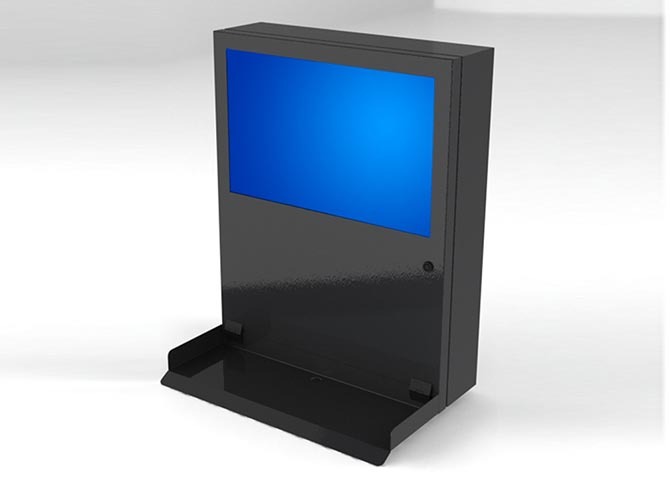 Ships with: Steel Enclosure, Strong Clear Plastic Window, LCD Mounting Bracket, Cooling Fans, Filter, Water-tight Gasket, and Keyed Locks.